A perfect weeknight meal, this Baked Greek Chicken Recipe is quick and easy. Using only three ingredients, this recipe is high in protein, low in carb, is gluten-free, and dairy free. If you are looking for the perfect easy weeknight meal protein, you can’t beat this delicious option. 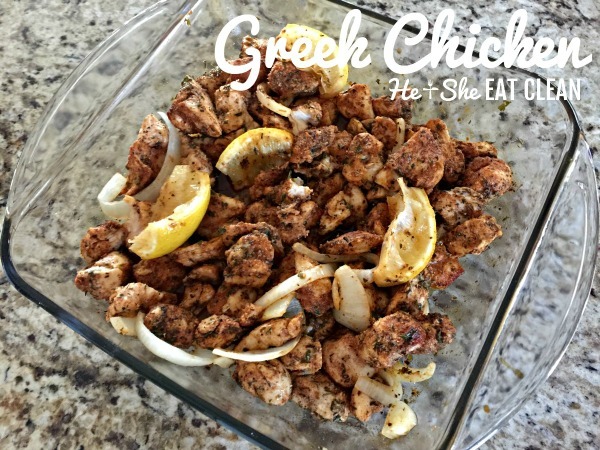 This Greek chicken recipe is very simple to make but still very delicious. It’s great for food prep and lasts about 2-3 days in the refrigerator. It’s even good cold! You can choose to use chicken thighs or chicken breast depending on your preference. A simple baked meal is great for fast dinner while you finish up things around the house. Just pop this into the oven and go about your evening finishing up chores, playing with the kids, or even sitting down to watch your favorite show. 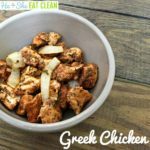 If you are looking for an easy chicken recipe to make in large batches for versatile meals, this Greek chicken recipe is going to become a new favorite. I love that it is amazing on its own, but there are tons of great options below to make it a more complete meal. 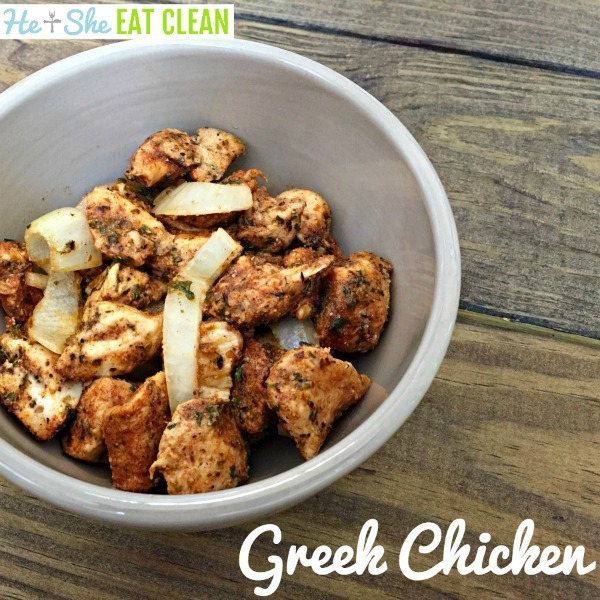 This recipe calls for Greek seasoning which we have a DIY version for! Get our delicious Greek seasoning recipe here. If you like making homemade seasoning blends, make sure to check out all of our favorites linked below. Staying healthy for me includes having great food that fuels my body. I know you will love my baked Greek chicken recipe, but you may be looking for other ideas. Remember that part of being healthy is also saving time in the kitchen to allow yourself to relax, rest, and spend time with family. That’s part of why I love meal planning ahead of time. Below are some of my favorite healthy and delicious chicken recipes for variety. This was originally published on June 12, 2013, and updated March 13, 2019. My simple baked Greek chicken recipe is an easy no fuss meal that is healthy and delicious. It was wonderful! Served it with some red potatoes and veggies. Thanks for the clean recipe! Made this tonight – super easy and delicious! We followed the recipe exactly, it looked just like the photo (minus the onions) and tasted fantastic.